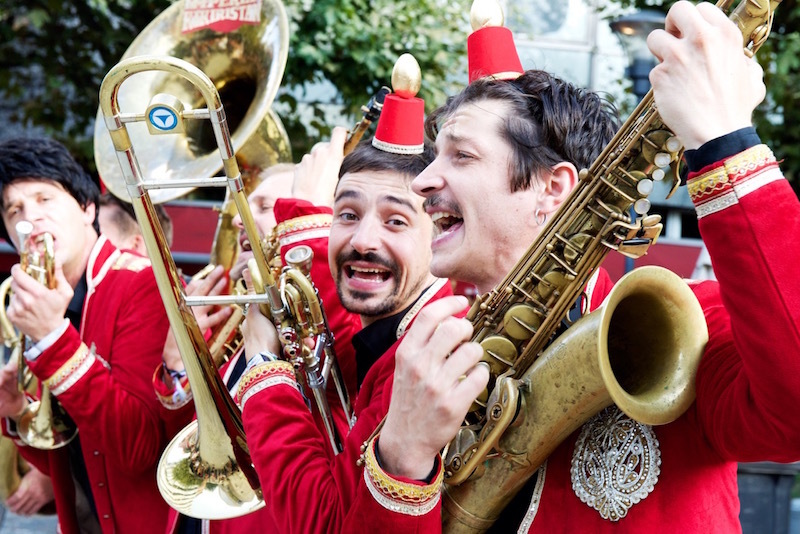 Troubadours of the metropolis, baladins of the forgotten countries, the Imperial Kikiristan returns for an eclectic show in the tradition of the celebrations of the Imperial Court of Kigrad. 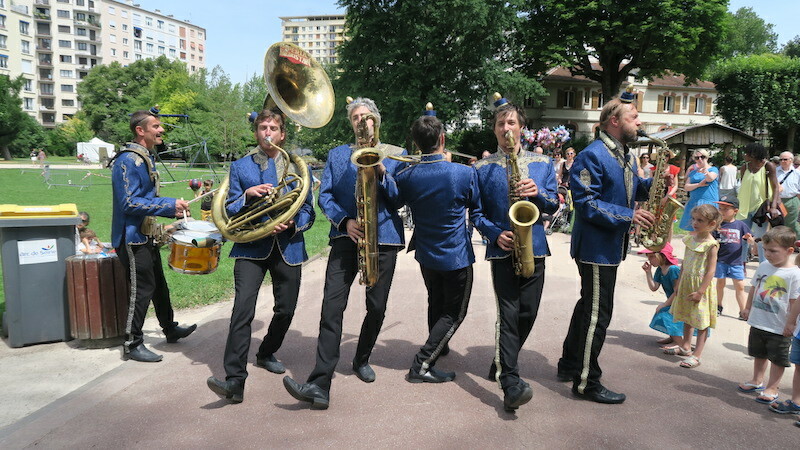 Between robotic Tarafs, psychedelic mariachis or Brass Band salon (hairdressing), almost an hour of musical contests take away against the backdrop of folklore show !!! 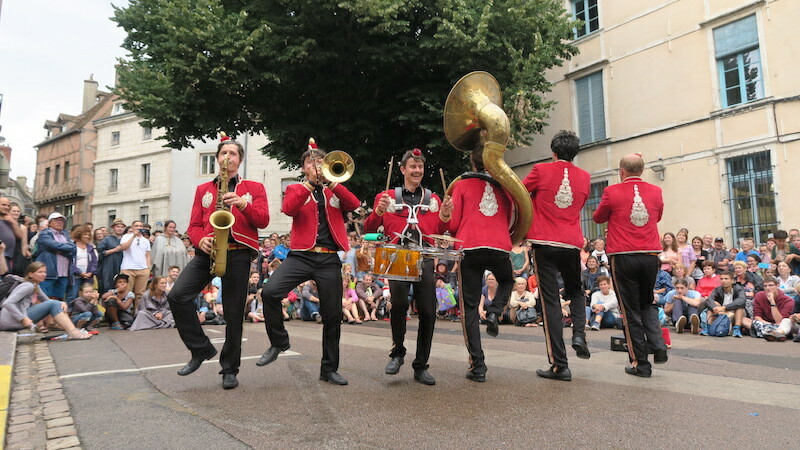 Traditional dances “Kiks”, low-cost music hall, acrobatic serenades, revision of street furniture, dressage of children … nothing escapes the orchestra, the street is its stage, the stage is its street! A guaranteed show with more than 1000 performances, in more than 30 countries, which, these are not imaginary. Let yourself go with a high-class full service offered by an orchestra capable of the most crazy and unexpected performances. 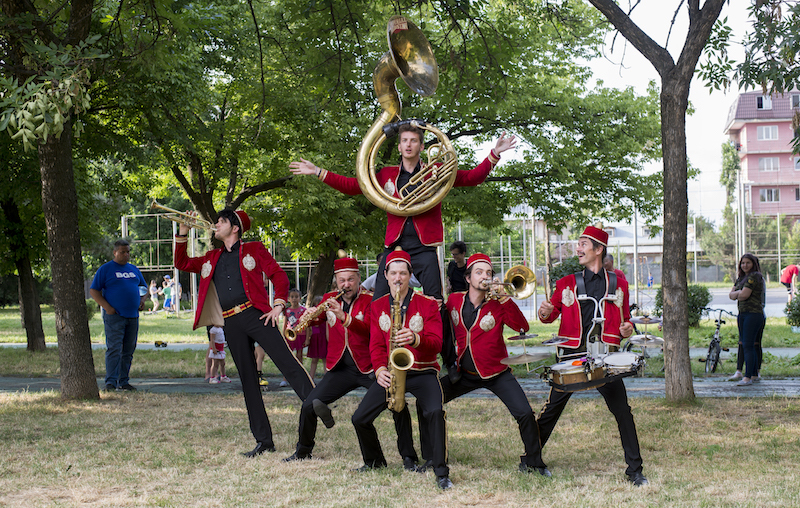 All terrain, this chameleon orchestra sublimate each event with humor, serenades, frenetic solos and choreography. On land, in the air or on the water, Her Majesty’s Imperial Service will raise the standard of any event to share all the flavors of traditional Kikiristan hospitality. 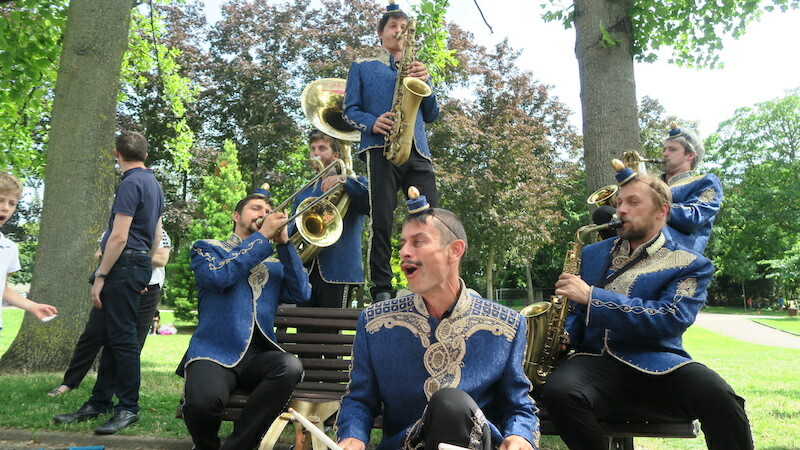 From New Orleans to India vi Bavaria you can find brass bands drom all over the world, The Imperial Kikiristan has a personal capacity of interpreting repertoire not usually composed for brass instruments. By mixing musical influences from various origins The Imperial Kikiristan has its own way of blending different styles. 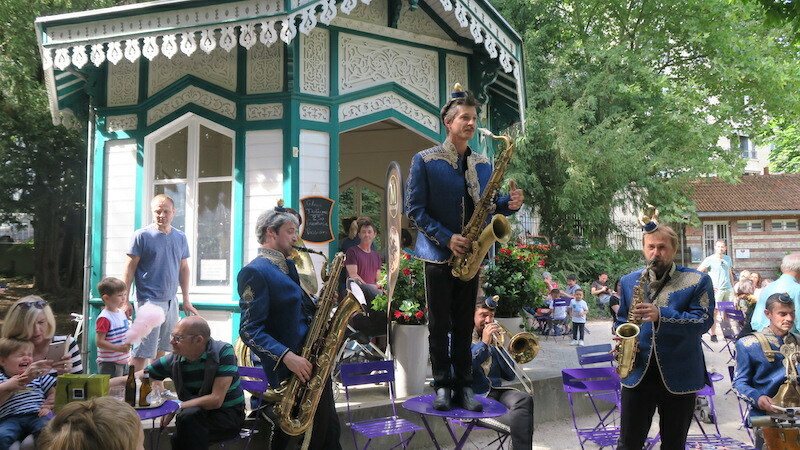 A Turkish rhythm can learn towards rock & roll, a salsa can fall into oriental melodies, as much as a waltz from Fellini can become a baroque choir.